Montague potter Jaye Pope is always designing new images to illustrate her sturdy and beautiful tableware! 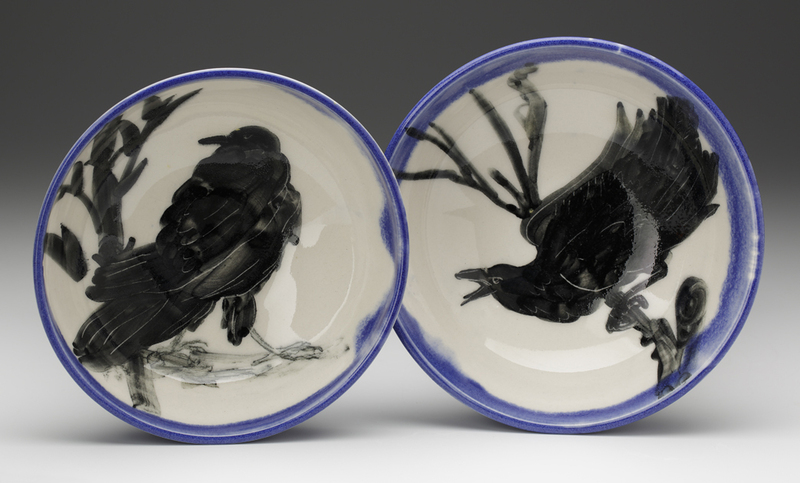 Here are some new plates featuring crows. Several collections of Jaye’s pottery are for sale this holiday season at the gallery. We hope to see you soon!